It may seem obvious, but the more dust you have, the more likely dust mites are going to accumulate. Dust mites love to eat the skin cells that collect in dust. And while dust mites don't attack people or pets directly, they will cause allergies and other lung-related issues. The only way you can avoid dust mites is to control the amount of dust in your home. Dust mites are most often attracted to rugs, carpet, and mattresses. They can also thrive in ducts. If dust mites eat dust, what eats dust mites? Other, larger mites. Larger mites predate on dust mites, and other insects predate on those larger mites. That means that having a lot of dust mites in your home can eventually lead to a booming ecosystem, all the way from the mites to house spiders. Pests naturally attract other pests, which means not controlling the dust in your property will eventually lead to an entire list of pests that are living together in your property. In addition to dust mites, dust itself can create opportunities for other pests. Small pests can burrow into dust and safely stay there and breed. When they breed, they can lay eggs inside of the dust and—if the dust isn't removed—the dust will protect them. 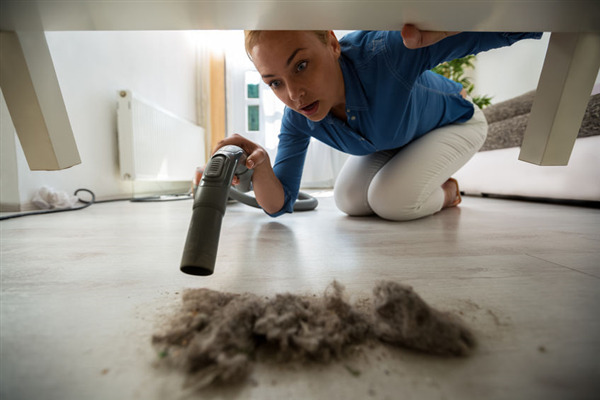 Dislodging dust is one of the best ways to remove potential pests. Further, a dusty home can eventually lead to enough of a dust build-up that mold and mildew grows. When that happens, it can create food sources for other pests, as well as a warm and moist habitat for them to live in. All of this is bad news for your home. Sweep and dust every day, especially in corners. Keep an eye out for bugs: if you see one, you have many. Get your home deep-cleaned occasionally. Once pests get into your property, they can be very hard to get rid of. Prevention is always better. Regularly dusting your property and cleaning up any additional dirt and debris can prevent a pest problem from developing. For more information about keeping your home clean, contact the Dust Doctors. « Are Dust Mites Dangerous? What are Dust Mites and How do You Get Rid of Them?